We are on a mission to live simply and DIY our life. We are taking small steps every day to spend less and simplify. 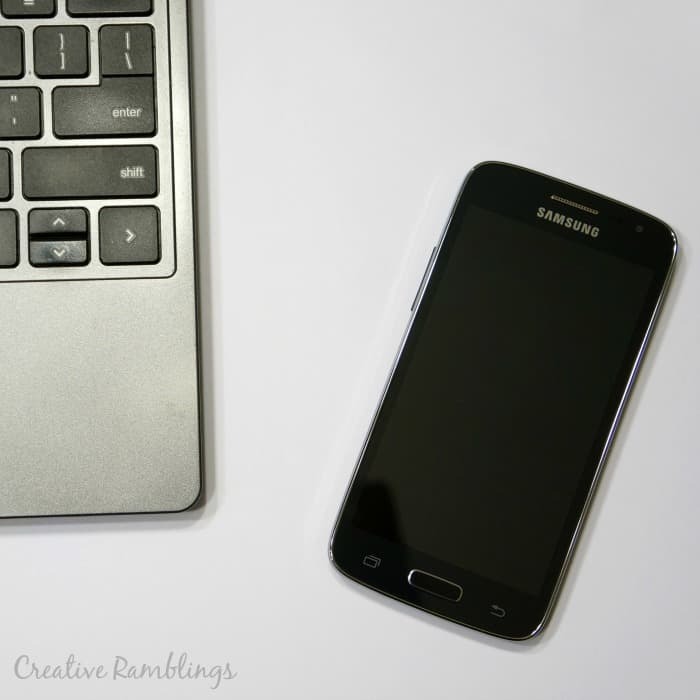 A couple of weeks ago I shared with you our Spring mission to save money on our cell phones, I narrowed it down to 3 options, you can see my comparison here. 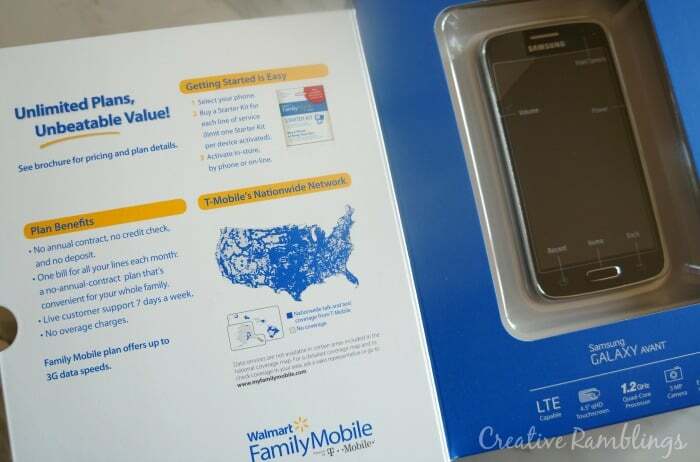 Last week I made the choice to go with Walmart Family Mobile, we now have Unlimited Talk Text and Data/Web for half of what we were paying before! 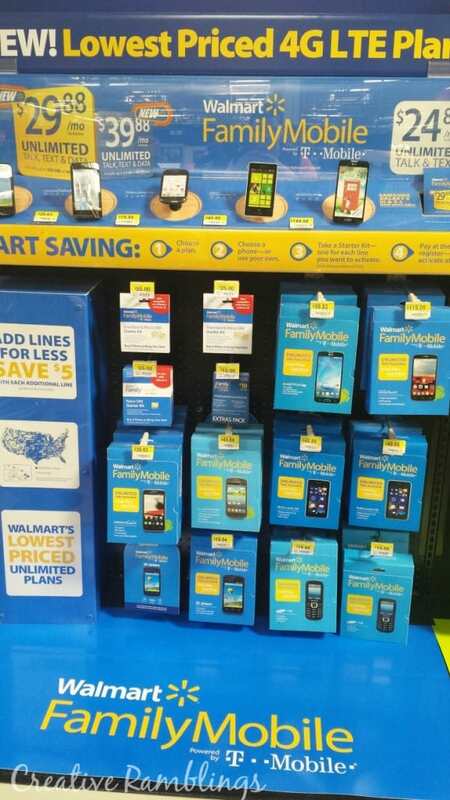 Here’s how to Switch and Save with Walmart Family Mobile. 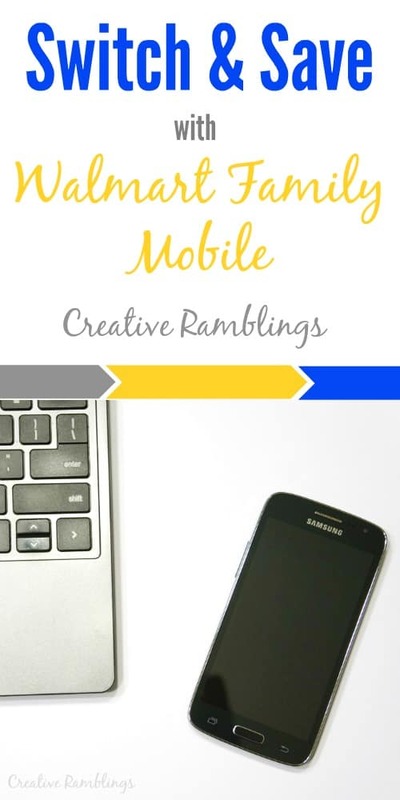 This year I have shared more than creative DIY projects, I’ve given you a glimpse into how my husband and I are DIY-ing our life. We are striving to live a simpler life by spending less, saving more, and choosing to DIY tasks we otherwise would have outsourced. Among other things, we have cut our cable and choose to watch TV via streaming networks or just not watch TV at all. We meal plan and eat at home instead of paying more to eat out. Cutting a $160 cell phone bill was next on the list. I love my phone and am on it all the time, but it just wasn’t worth that much money every month. Read more about how we DIY Our Life. 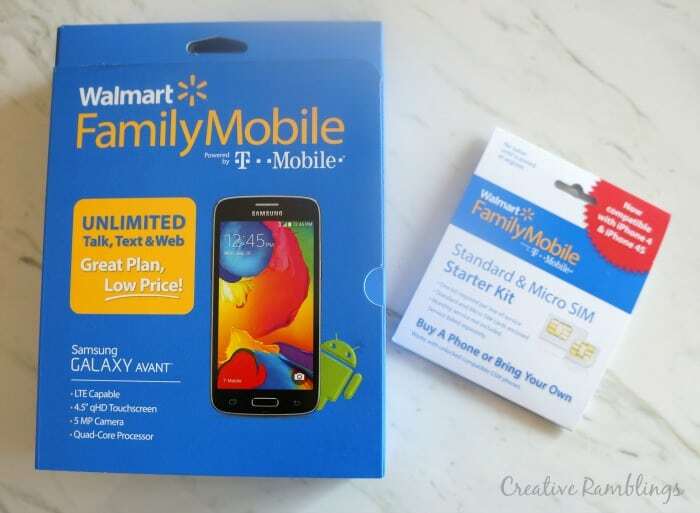 We ultimately chose Walmart Family Mobile for the 4G LTE coverage on a reliable network. We are now paying around $55 (+ tax) a month for our service using a $29.88/month plan. This plan includes Unlimted Talk and Text and up to 500 MB of Data. With 2 lines, we get $5 off the second line each month. You can learn more about the plan and phones here. Postpaid Plan. We were considering a prepaid plan, but I was a little worried about forgetting to load my plan at the beginning of a month. This plan operates just like my last one, I will be able to set up auto pay and not worry about it each month. Phone Selection. I got a Samsung Galaxy Avant phone which runs on the Android platform I am familiar with and love. I don’t feel like I downgraded my phone, even though we are paying much less for our service. Easy set up and maintainance. To set up our phones, I went into my local Walmart and picked up 2 phones and 2 starter kits. Each starter kit is $25 and comes with an activation card and instructions on how to set up the service. Once I got it set up I am able to manage my plan online. Look for this display in the electronics department at your local Walmart. I could have activated everything in store, or online which is usually my preference, but I opted this time to call and was pleased with the service and how easy it was to transfer our numbers and get up and running. We’ve had the service for a week and have been very happy. Clear reliable calls, texts and fast data speeds. An extra $100 a month is going to make a big impact! We are committed to living below our means in order to save money and simplify our life. This extra money will be put to good use paying down debt or investing. Are you ready to switch? What would you do with an extra $100 a month? That’s awesome you were able to switch and reduce your out of pocket expenses. Just shows it pays to do your research and shop around before making a commitment to a phone plan. A little time can definitely save some money, thanks for reading Jane. Wow! I didn’t know it was that cheap!! We pay just under $100 for two lines but I may want to switch now that I know about this. Can you keep your own phone or do you have to buy a new one? We use a beta program, ting, and really like it. The only and biggest drawback is we have to buy the phones up front. It is extremely expensive. What a great idea! Thank you for sharing . My bill is usually $100 for two lines , I may switch later. My parents use this program from Walmart and love it.